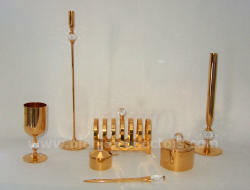 Wayne Husted's first designs appear in the 1953 catalog. 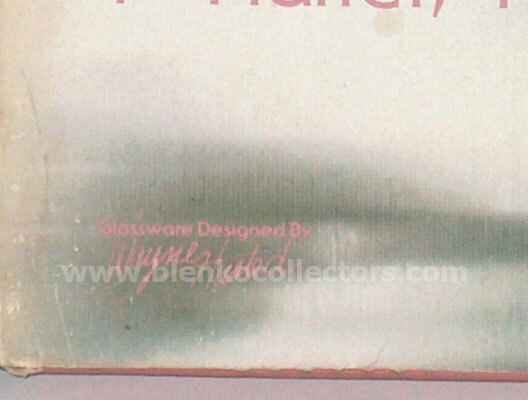 This line was originally designed by Wayne Husted for Bischoff. 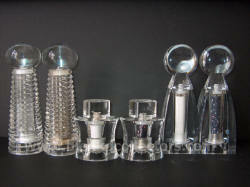 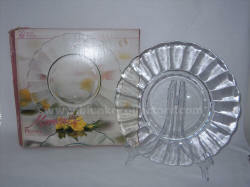 When Lancaster Colony bought the Bischoff molds they were then used to make the "Indiana Handcraft". 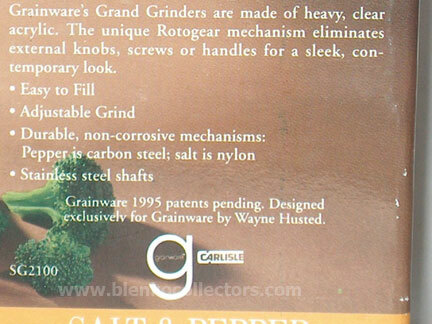 In the Indiana Handcraft catalog this is from the Concord line. 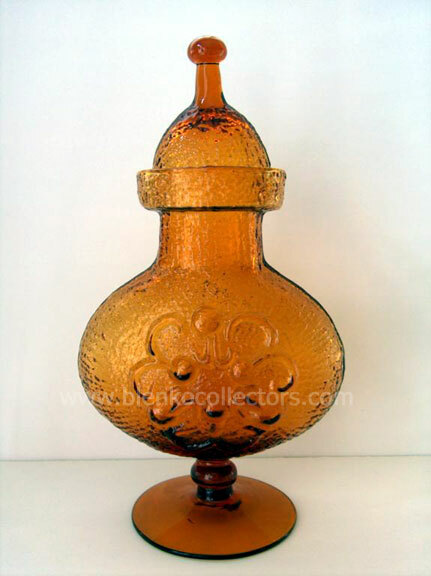 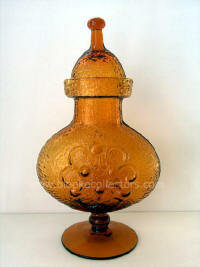 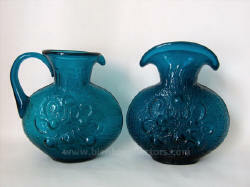 Husted for Stelvia called the Antiqua line.. Made in Italy. 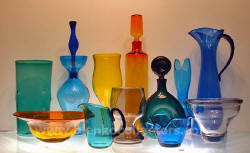 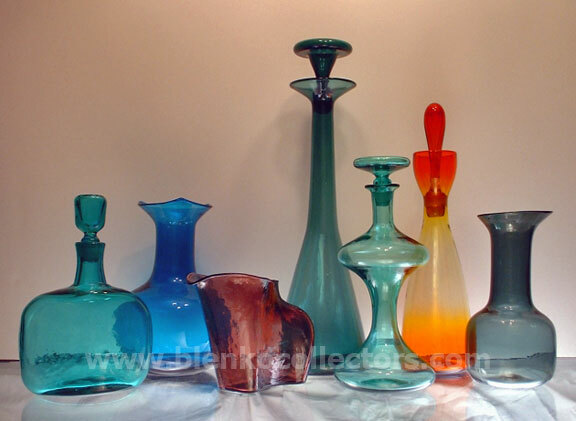 While probably best known for his Blenko designs, Wayne Husted is still a very prolific designer. 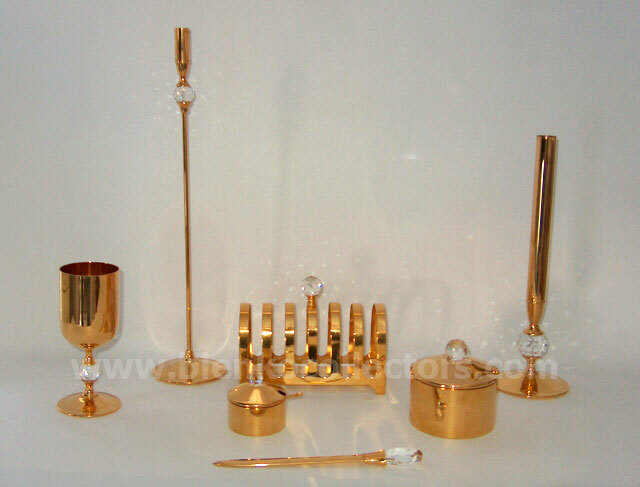 He is always working on something new and different to delight people that already know his designs and his new fans. 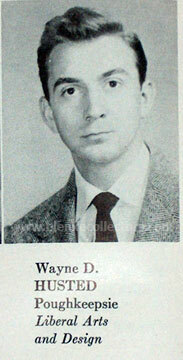 Left: Wayne Husted in his senior yearbook from Alfred University in Alfred, NY in 1952. 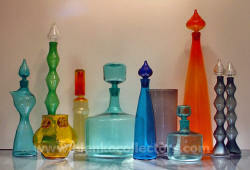 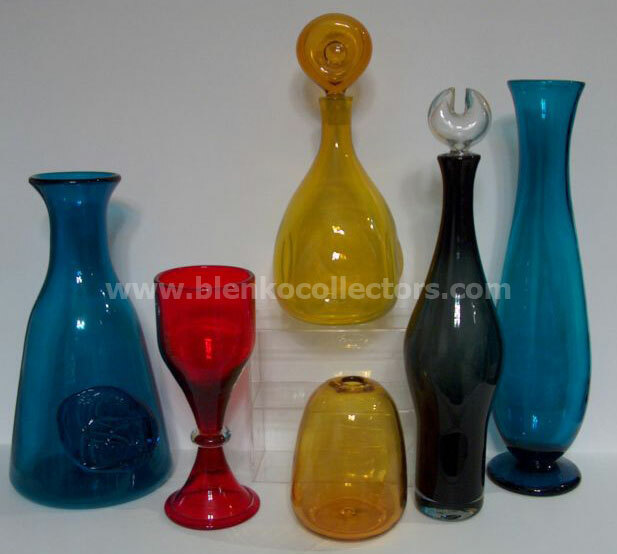 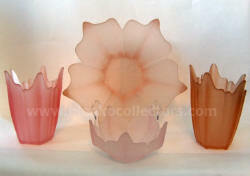 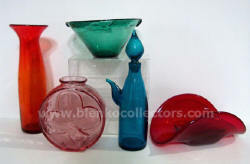 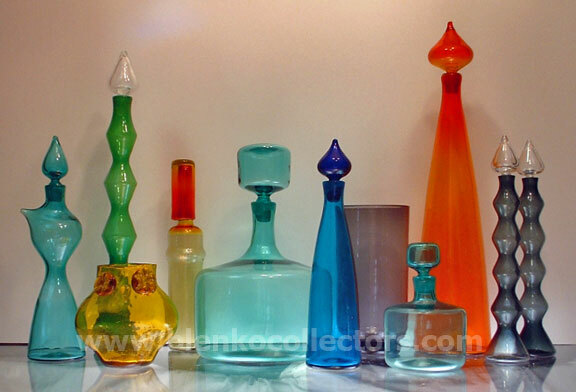 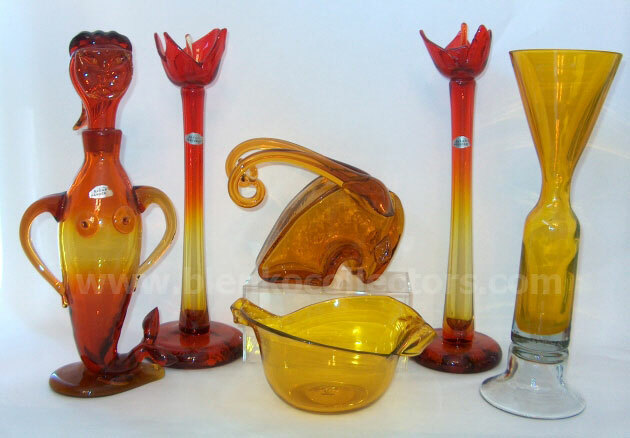 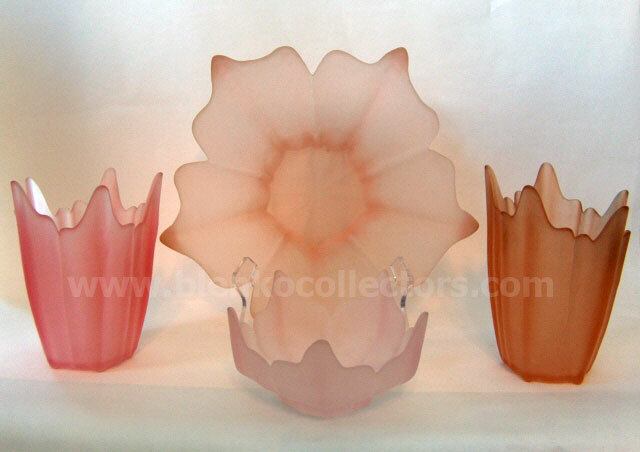 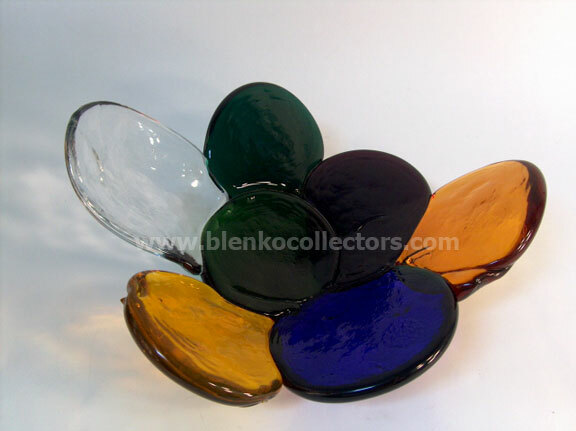 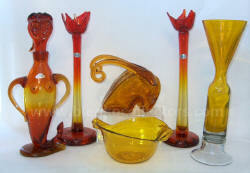 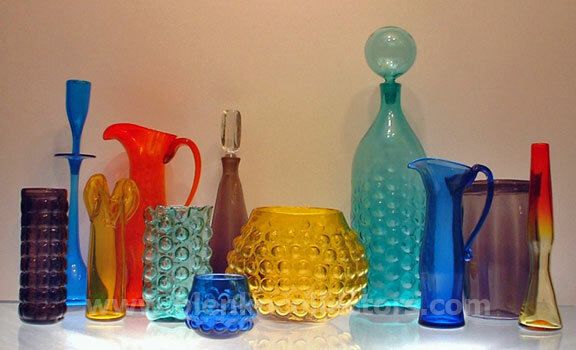 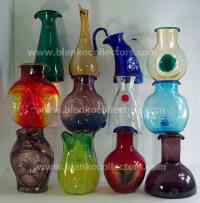 Wayne was hired by Blenko in 1952, but his first 4 designs do not appear until 1953. 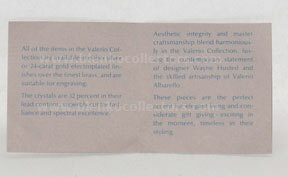 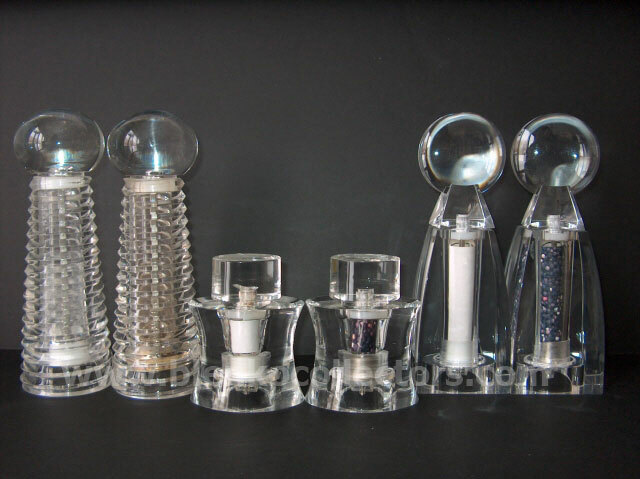 Design numbers are, 5313, 5318, 5320, & 5321. 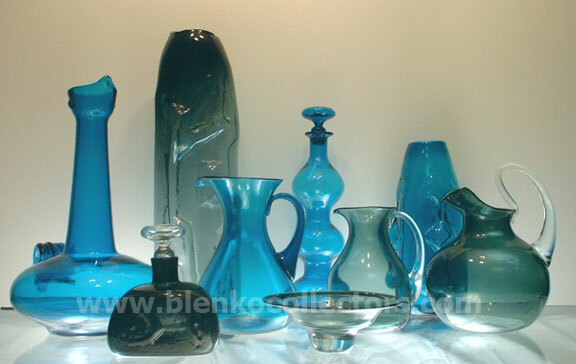 Wayne Husted's employment dates come from interviews that he gave to the Blenko Collectors Society during his personal presentations and to several collectors at the Blenko Collectors Society Convention in 2003. 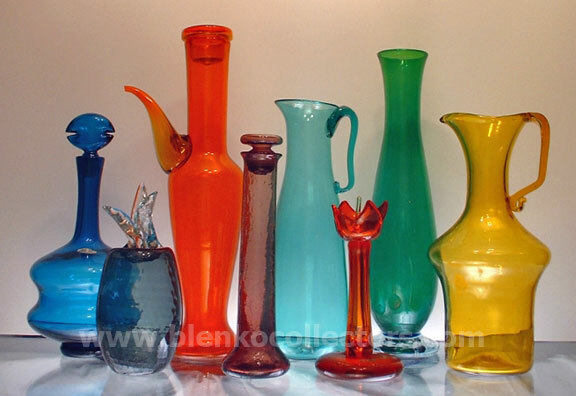 From left to right: One of a kind pitcher, prototype water bottle Rooster 1 of 3 made. 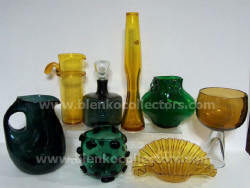 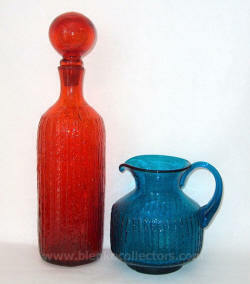 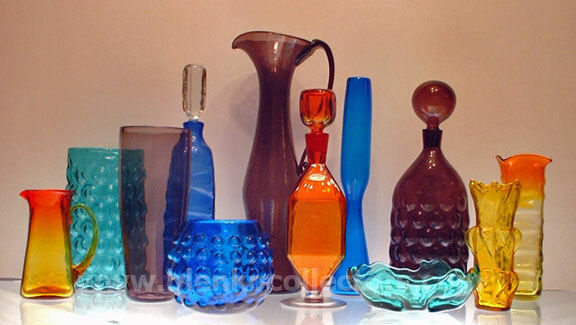 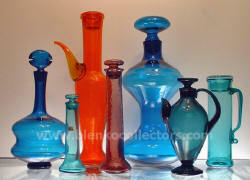 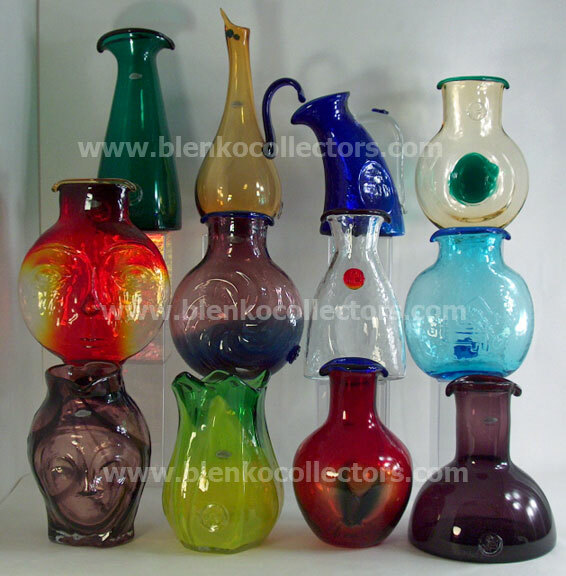 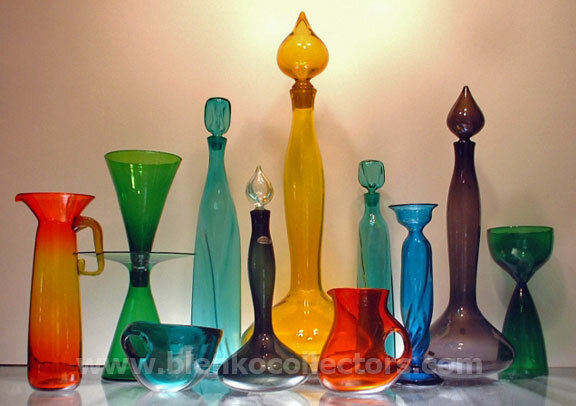 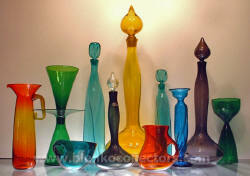 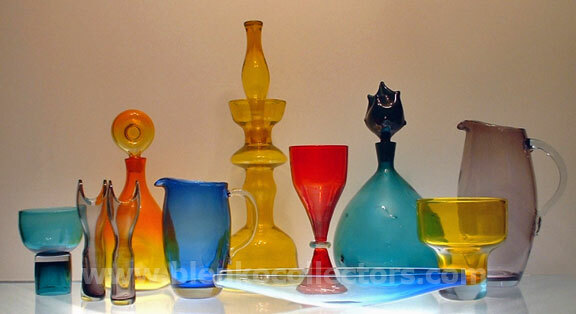 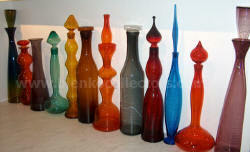 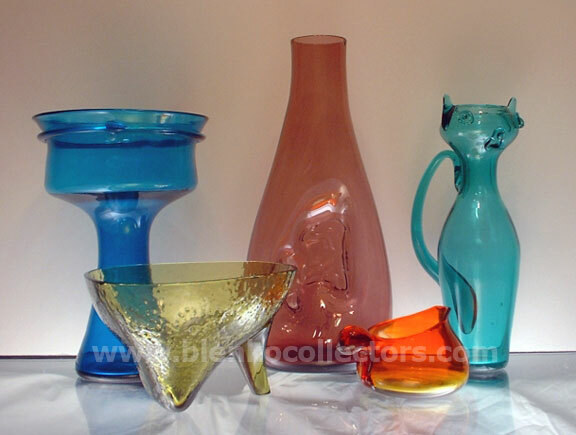 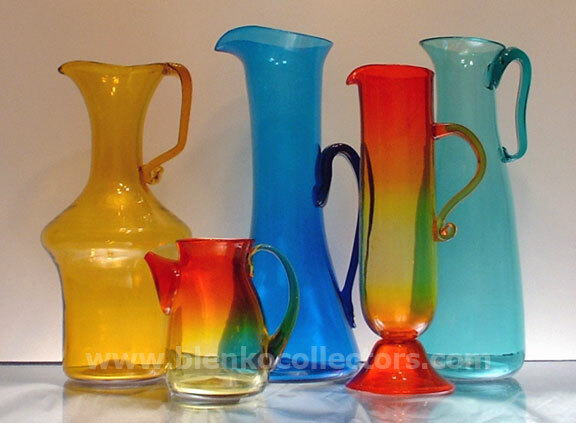 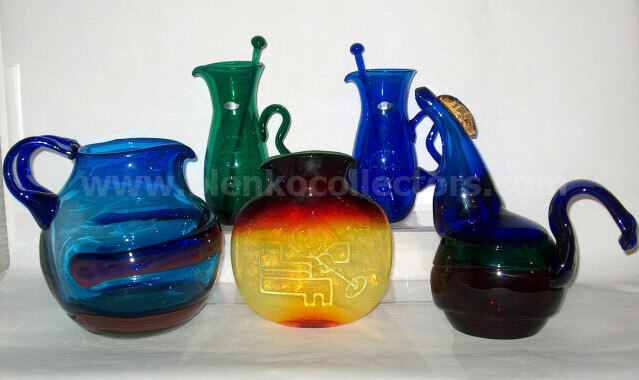 Back row: little pitchers only sold at a Blenko party in 2002.